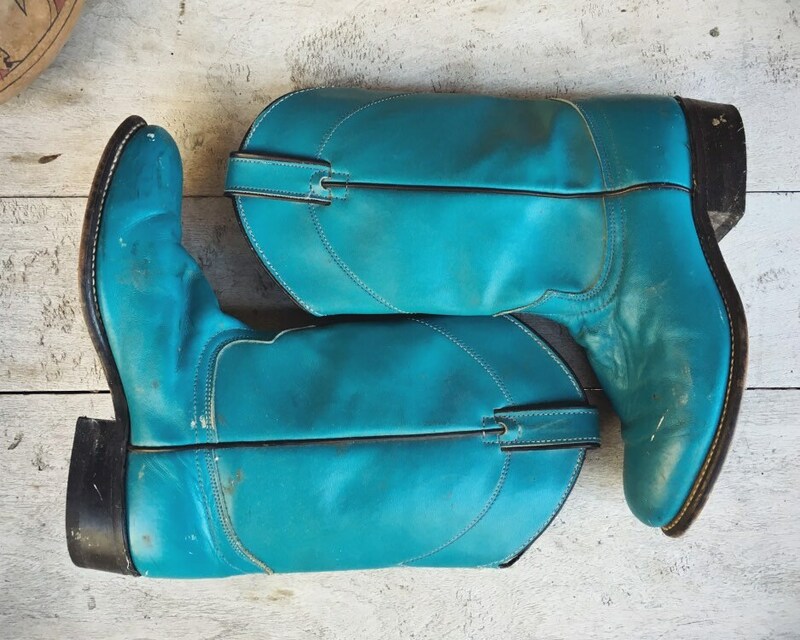 Here we have a Made in USA round-toed Laredo Roper style boot, Women's size 7.5, although like many vintage boots run small and more for about a 6.5 to 7 in my opinion. 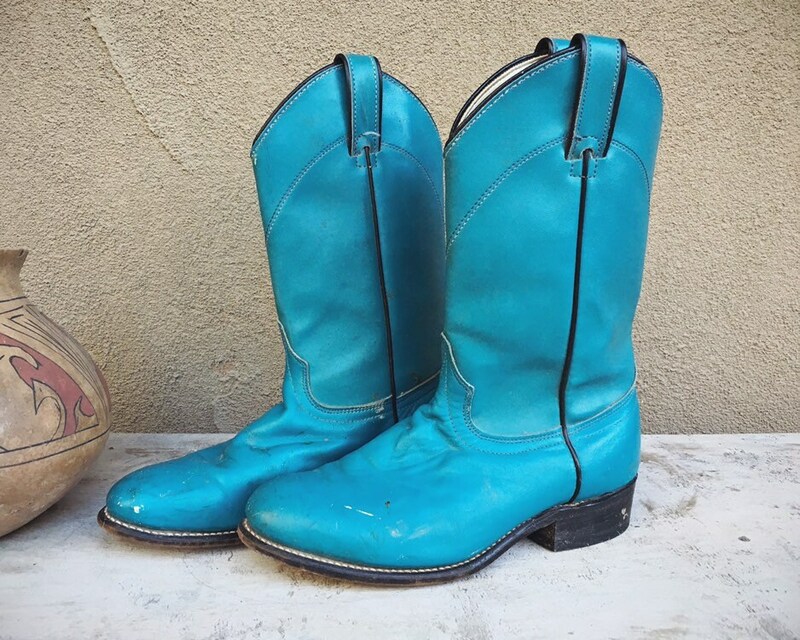 In fabulous teal blue, and with the kind of wear that makes you look like you're an authentic cowgirl. 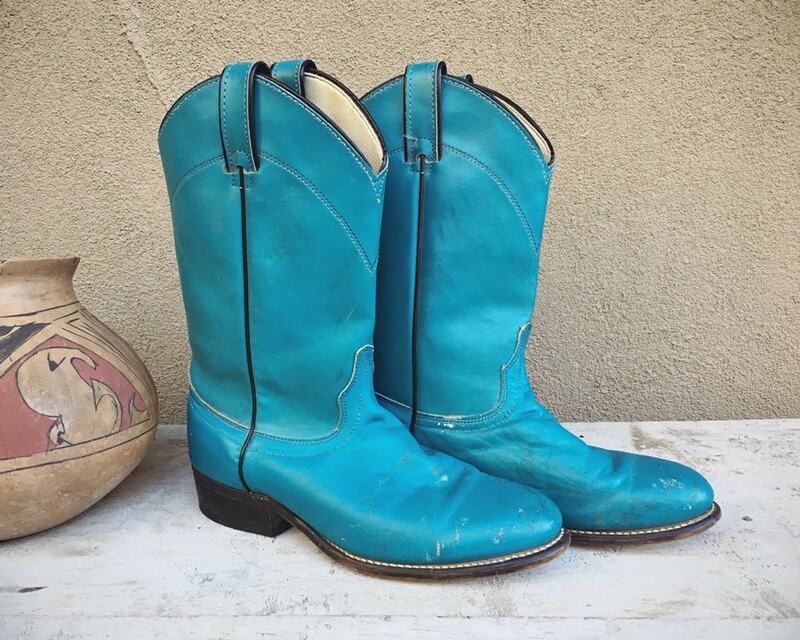 Pair them with a white dress and short denim jacket and wa-la, the best ever boho look! 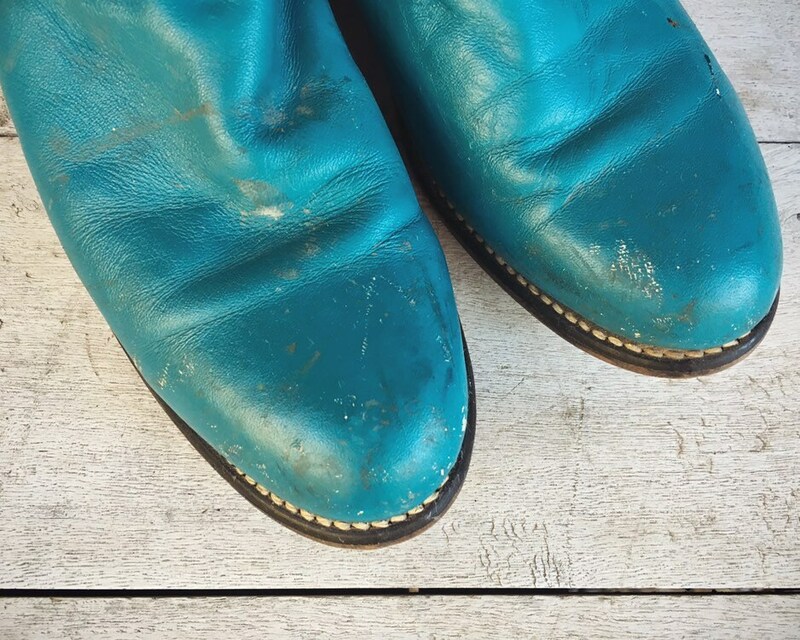 The boots have plenty of scuffs and scratches. 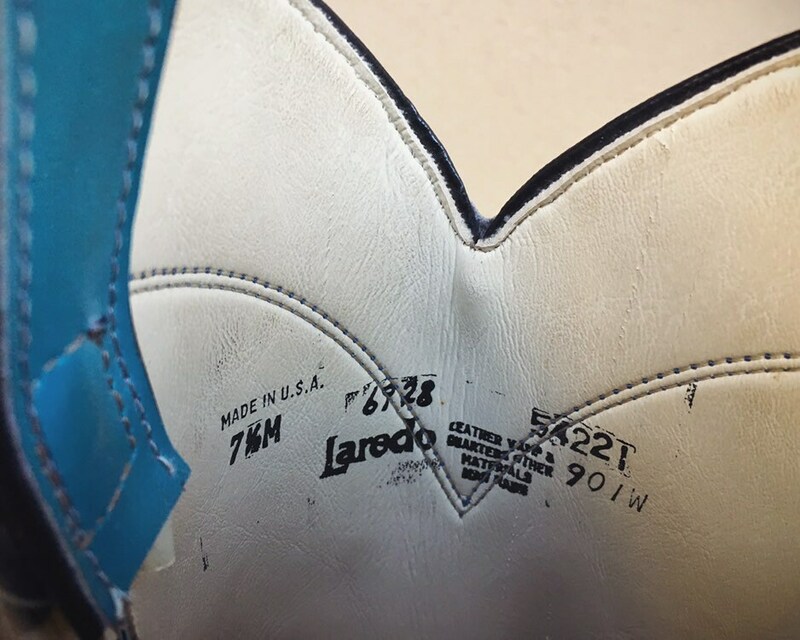 Soles are still in good shape. 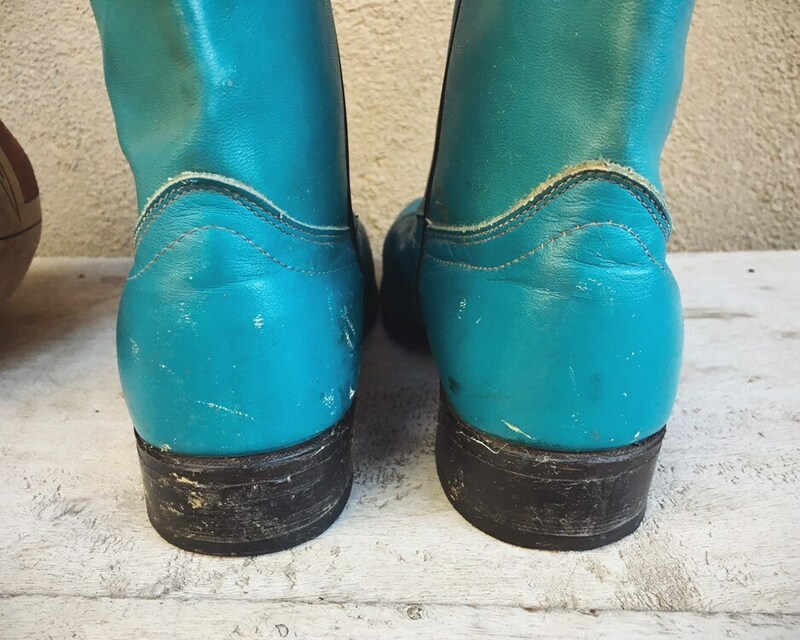 Best way to buy an online boot is to compare the measurements below to a boot or shoe that fits you well. 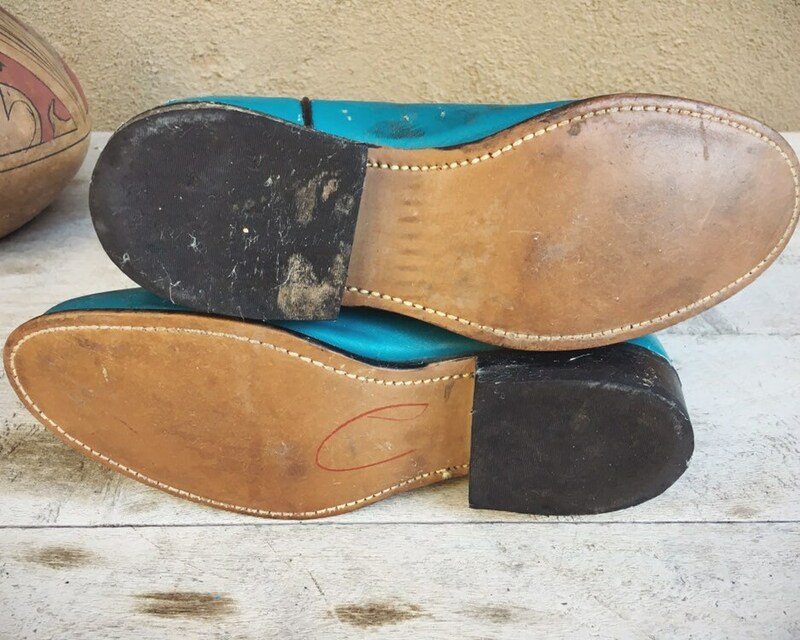 Sole, across ball of foot: 3-3/8"
Shaft, down back from top of the heel (not ground) to the top of the leather upper: 7-3/4"
Side seam, from the top of the heel (not ground) to the top of the leather strap: 10-1/4"